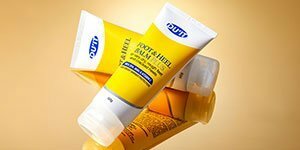 Both DU’IT Tough Hands and DU’IT Tough Hands for Her are intensive hand creams formulated especially for the most severe cases of dry, rough, calloused, cracked and irritated hands. Proven to fix bad hands within 5 days. Visible effects within 5 days, fixes hand problems that beauty hand creams won’t fix. They provide long-lasting protection from damage to hands caused by repeated washing, prolonged use of latex gloves, chemicals, cleaners and contact with other allergens and irritants. 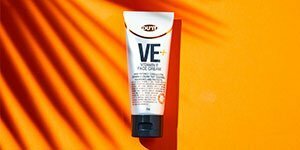 Suitable for people with diabetes and sensitive skin. SODIUM PCA An intensive moisturiser that is 50% superior to glycerine. Acts in synergy with UREA and holds moisture in the skin. NO ALLERGENS OR IRRITANTS Contains no lanolin, parabens, petrolatum, mineral oil or propylene glycol. Tough Hands for Her 75g: Aqua/Water/Eau, Urea, Lactic Acid, Cyclopentasiloxane, Hydroxypropyl Starch Phosphate, Glycerin, Dimethicone, Ethylhexyl Palmitate, Cetearyl Alcohol, Glyceryl Stearate, Stearyl Alcohol, Sodium Lactate, PEG-100 Stearate, Niacinamide, Panthenol, Prunus Amygdalus Dulcis (Sweet Almond Oil), Ceteareth-20, Myristyl Myristate, Polysorbate 20, Tocopheryl Acetate, Sodium PCA, Sorbitan Laurate, Steareth-20, Silica, Lauryl Pyrrolidone, PEG-20 Stearate, Palmitoyl Tetrapeptide-7, Piroctone Olamine, Disodium EDTA, Benzyl Alcohol, Benzoic Acid, Sorbic Acid, Parfum (Fragrance). Tough Hands 150g:Aqua/Water, Urea, Lactic Acid, Cetearyl Alcohol, Cyclopentasiloxane, Natural Starch Derivative, Dimethicone, Ethylhexyl Palmitate, Glycerin, Glyceryl Stearate, Sorbitan Laurate, PEG-100 Stearate, Ceteareth-20, Myristyl Myristate, Sodium Lactate, Tocopheryl Acetate, Sodium PCA, PEG-20 Stearate, Silica, Lauryl Pyrrolidone, Piroctone Olamine, Backhousia Citriodora (Lemon Myrtle) Leaf Oil, Leptospermum Petersonii (Lemon Tea Tree) Oil, Disodium EDTA, Benzyl. 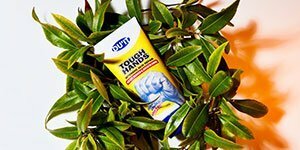 DU’IT Tough Hands is an intensive strength hand repair cream formulated especially for the most severe cases of dry, rough, calloused, cracked and irritated hands. Proven to fix bad hands within 5 days. Visible effects within 5 days, DU’IT Tough Hands for Her fixes hand problems that beauty hand creams won’t fix. 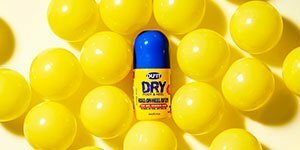 It provides long-lasting protection from damage to hands caused by repeated washing, prolonged use of latex gloves, chemicals, cleaners and contact with other allergens and irritants. VITAMIN E Promotes and enhances skin healing, replenishes moisture, rehydrates dry, rough and damaged skin. DU’IT Tough Hands for Her is scientifically formulated as a potent, hydrating hand moisturiser with anti-aging properties. Designed to guard against premature ageing, visibly brighten, condition skin, cuticles and nails and increase moisture levels with long-lasting hydration. Contains a powerful peptide blend that supports natural collagen and softens the appearance of fine lines and wrinkles, panthenol for firming and niacinamide for skin elasticity. Its non greasy protective barrier shields skin from harsh environmental stresses and neglect while locking in the skin moisture to keep skin highly hydrated. No. We only use carefully-selected substances in our products to guarantee the safest ingredients. All of our product formulations are free from drying alcohol, parabens, petrolatum, phenoxyethanol, phthalates, mineral oils, lanolin and propylene glycol. DU’IT Skin Care upholds holistic principals but does not ascribe to a vegetarian or vegan philosophy. However Tough Hands Duo does not contain animal or animal-derived ingredients. Our Glyceryl Stearate and Lactic Acid ingredients are derived from synthetic or plant extracts. No, as it contains natural vitamin E ingredient. However if you have specific questions or concerns regarding gluten and the ingredients contained in our formulas we recommend you consult your physician. 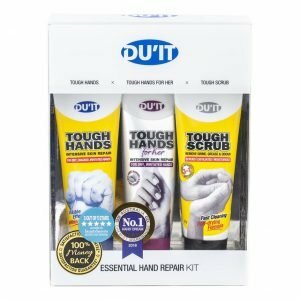 DU'IT Tough Hands is an intensive strength hand repair cream formulated especially for the most severe cases of dry, rough, calloused, cracked and irritated hands. Proven to fix bad hands within 5 days. Visible effects within 5 days, DU'IT Tough Hands for Her fixes hand problems that beauty hand creams won’t fix. It provides long-lasting protection from damage to hands caused by repeated washing, prolonged use of latex gloves, chemicals, cleaners and contact with other allergens and irritants. UREA 10% Natural skin conditioner that maintains skin moisture balance and seals cracked skin. VITAMIN E Promotes and enhances skin healing, replenishes moisture, rehydrates dry, rough and damaged skin. AHA’s Exfoliates and removes dead skin layers without the need for a pumice stone. DIMETHICONE Acts as a protective coating that shields skin with a non-greasy proactive barrier which counter-acts the loss of vital oils that leads to cracking and drying of skin. SODIUM PCA An intensive moisturiser that is 50% superior to glycerine. Acts in synergy with UREA and holds moisture in the skin.